Song suggestions, prayers, Scripture references and liturgical guidelines for preparing prayer services, liturgies and other celebrations with children. Teachers, directors of religious education and children's liturgy planners, rejoice! Finally, a single-volume resource that simplifies your preparation. 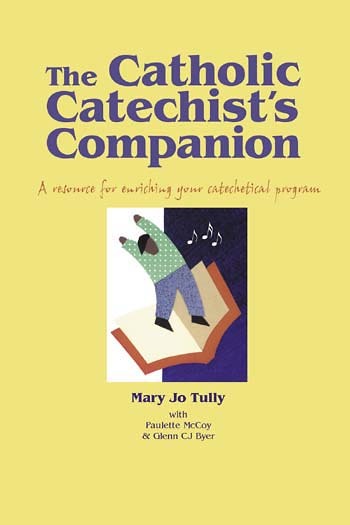 The Catholic Catechist's Companion is a comprehensive guide, offering song suggestions, prayers, Scripture references and liturgical guidelines for preparing prayer services, liturgies and other celebrations with children. The book is organized into 16 chapters covering these themes: Baptism, Believing, Church, Confirmation, Covenant, Creation, Eucharist, Family, God's Word, The Great Commandment, Kingdom, Mary, Mission, Penance, Social Gospel and Trinity. Written by Mary Jo Tully, the reflections help the reader to develop a deeper and more personal understanding of each theme. The Liturgical guide, prepared by liturgy expert Glenn CJ Byer, suggests appropriate seasons and days to celebrate each theme and offers a prayer and commentary on the spiritual significance of each theme. Music expert Paulette McCoy has provided song suggestions for each moment of the liturgy, drawing from Rise Up and Sing, Second Edition, and Spirit & Song. Its comprehensive index includes references to grades 1-6 of the Sadlier, Benziger, Loyola and Brown programs, but its themes can be applied to whatever catechetical program you offer in your parish.